Larger than European Bee-eater and distinctly green or turquoise-green with a chestnut throat, long central tail-streamers and rusty red underwings framed dark on trailing edge. Juvenile duller and lacks long tail projections. 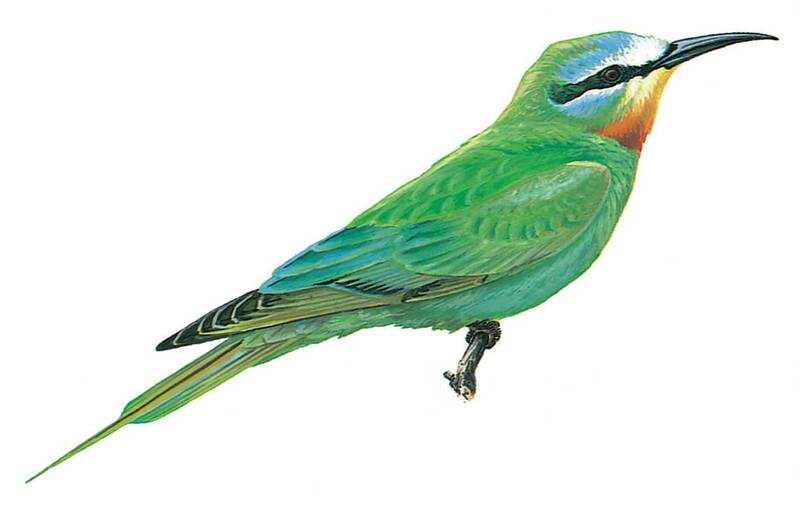 From young European Bee-eater (more uniform greenish upperparts than in adult) by entirely green plumage including crown and underparts, long tail-streamers, and rusty red underwings.